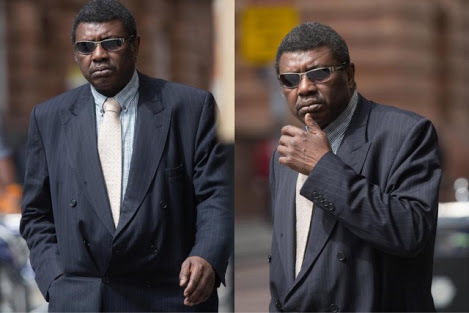 59-year-old Nigerian Senior Surgeon, Dr. Lawal Haruna, who reportedly removed a woman’s ovary accidentally instead of her appendix has been struck off after being branded a ‘danger to patients'. He allegedly botched up three operations over the course of two years including removing a woman’s ovary because he said the appendix and fallopian tubes were similar ‘worm-like structures’ in the same area. The unnamed woman, known as Patient B, was treated by him when she was admitted for abdominal pain while he was working for Sheffield Teaching Hospitals Trust in Sheffield, South Yorkshire. causing her great pain – in situ. A tribunal heard how it was lucky she was not of child-bearing age as it could have affected her fertility. Dr. Haruna botched up two further operations mistaking a lump of fat for an appendix in one case and a skin tag for a harmful lump in another. Colleagues described the operations as poorly executed and ‘never events’. The surgeon, who represented himself, told the Manchester hearing he had ‘poor vision’ at the time he carried out the surgery and claimed it would be ‘harsh’ to strike him off. But at the Medical Practitioners Tribunal Service a disciplinary panel found him guilty of misconduct and banned him from treating patients.